Jim Kimberly and his wife, with his white sports car and white boats moored on Lake Worth. A Palm Beach socialite, he acts as Honorary Consul of Jordan. 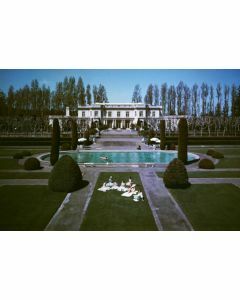 Original Artwork: A Wonderful Time - Slim Aarons.